Funk is a music genre that originated in the mid- 1960s when African American musicians created a rhythmic, danceable new form of music. Funk music emerged through a mixture of soul music, jazz, and rhythm and blues (R&B). 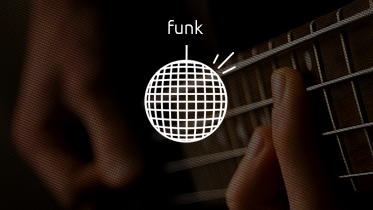 Funk de-emphasizes melody and chord progressions used in other related genres and brings a strong rhythmic groove of a bass line played by an electric bassist and a drum part played by a drummer to the foreground.